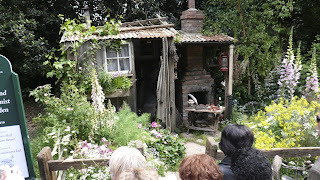 Shedman visited Chelsea Flower Show on Friday 22nd May - a lovely sunny day in the capital. 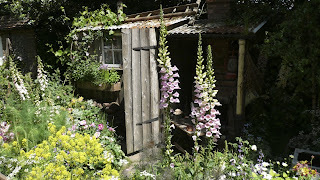 Sheds and shed-like structures were well in evidence and Shedman shares a few of them with you here. 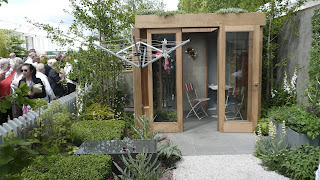 Links lead to sponsors, designers and/or constructors as well as to the RHS website with its 360° virtual tours of the gardens. 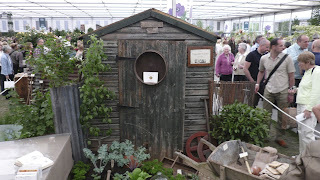 Descriptions of gardens and stands are quoted from the show catalogue, with acknowledgments to the RHS and contributors. 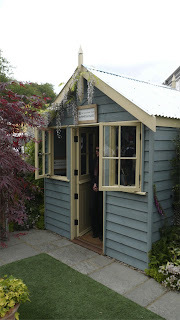 Special thanks to Holly McConnell for a lovely day out. 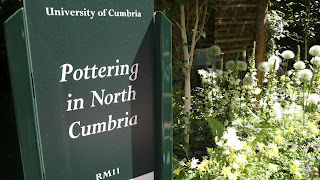 Pottering in North Cumbria from the University of Cumbria. See the BBC website coverage of Chelsea. 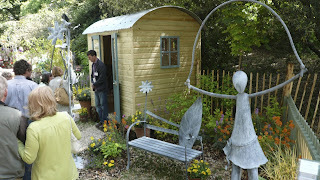 Time to Think - Space to Breathe from Warwickshire College. 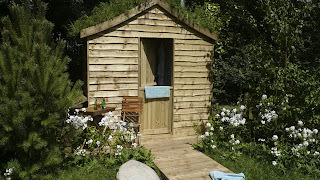 'The garden features a Scandinavian lakeside retreat and sauna lodge, a place of quiet contemplation providing time to think - somewhere with clear mountain air giving space to breathe. 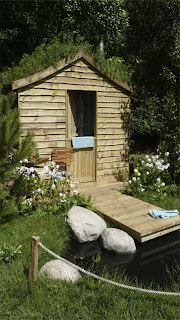 It is situated in a peaceful and tranquil opening where dappled woodland meets a serene lake. 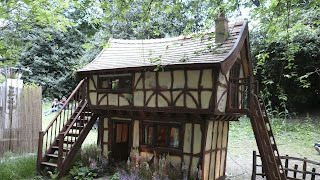 Boundaries are simple and unobtrusive to define but not confine. 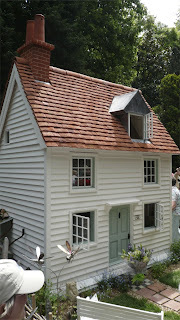 Small houses were well represented with examples from The Small House and Building Co Ltd, based in West Sussex and Flights of Fantasy from Kings Lynn, Norfolk. 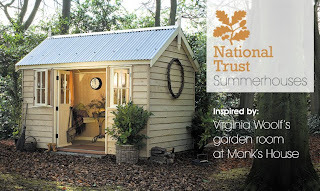 While Scotts of Thrapston were showing off their National Trust range of summerhouses. 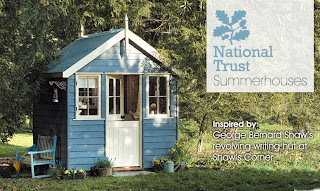 You can see them here at the http://www.nationaltrustsummerhouses.co.uk which has to be one of the longest domain names Shedman has ever had the pleasure to link to! 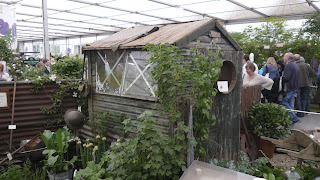 Crane Sheds and MPB Garden Buildings were there as well. 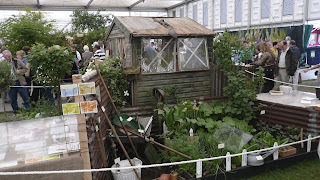 For Pennard Plants of Somerset an old shed was the focal point of their stand.